At Top Notch Nutrition it is our mission to make sure you actually have success on the keto diet! That is why we would like to offer you our 90 pg. Keto Kickstart E-book FREE ($19.95 value). There is so much information circulating out there about the Keto Diet, that it can become confusing and overwhelming to think about getting started. The Keto Diet is actually very simple, but it is crucial to understand it to ensure that you will succeed!! 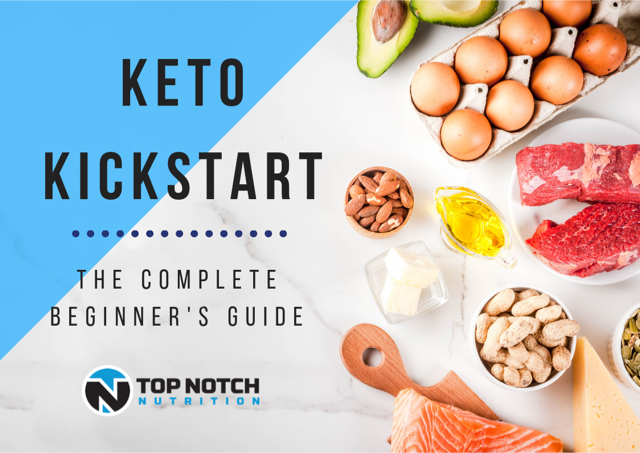 That is why we created this Keto Kickstart: The Complete Beginner’s Guide to get you started off on the right foot... teaching you everything from A-Z about the Keto Diet in an easy to read simple format! Just enter your Name & E-mail on the next page, and get Your FREE 90 page E-book!! !